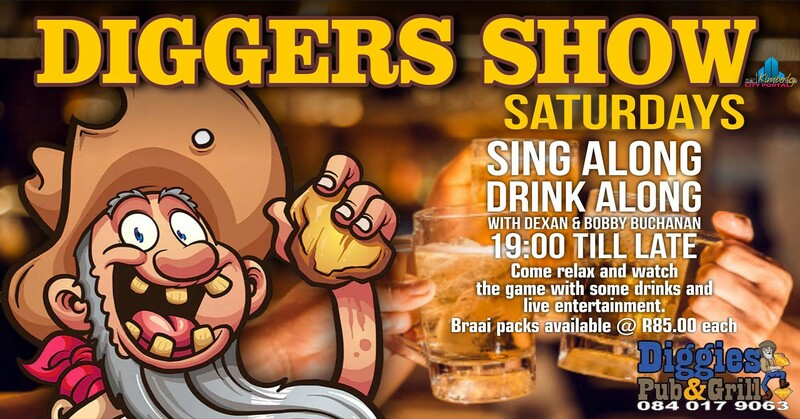 Saturdays at Diggies Pub & Grill means sing along, drink along! Join Dexan and Bobby Buchanan for the fantastic DIGGERS SHOW every Saturday! Come relax and watch the game with some drinks and live entertainment. Braai packs available @ R85.00 each.